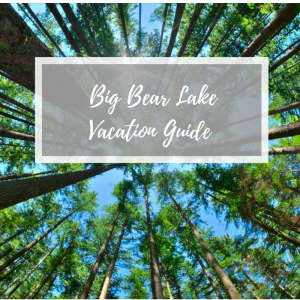 With crisp mountain air, lovely evergreen trees, and a vast, snow-fed lake, it’s no wonder that Big Bear is a popular destination for year-round outdoor recreation. A fantastic way to immerse yourself in nature is to go hiking, and Big Bear offers plenty of opportunity for that. One of the most popular hikes in the area is the Castle Rock Trail, thanks to the incredible views and relative ease. Learn more about this excellent trail below! The Castle Rock Trail in the San Bernardino National Forest is one of the most popular hikes in Big Bear. It provides a good workout without being too difficult so that children or dogs can’t come along, and even if you don’t make it all the way to the top, you’ll still get fantastic views of Big Bear Lake below. The length of this out-and-back trail is 2.6 miles. Where is the Castle Rock Trail? The trailhead for Castle Rock Trail is off Big Bear Boulevard, aka CA-18. It’s right where the Big Bear Lake city limits sign is, about a mile after the Big Bear Lake Dam (heading towards town). There is no designated parking, so it can be tricky to find a spot to park, especially if you go on a busier day. What Will I See on the Castle Rock Trail? There are several areas to rest and vantage points where you can take great pictures along the Castle Rock Trail. Along the way, you’ll pass through large granite boulders and by towering evergreen trees. Keep an eye out so you can catch glimpses of wildlife along the trail! The trail is well-shaded by the beautiful trees, but be sure to bring some water along! Depending on your pace, the Castle Rock Trail should take about two hours to hike. As you climb the incline, expansive views of Big Bear Lake, the mountains hugging the lake, and the city stretch out before you. To ascend the final leg of the Castle Rock Trail, you’ll have to do a bit of rock climbing, but it is well worth it, as the views from Castle Rock are panoramic, going on for miles and miles. You can also go rock climbing on Castle Rock if you are looking for an adrenaline rush! If you find that you’d like to keep hiking once you’ve reached Castle Rock, you can extend the hike and continue to the Champion Lodgepole. It’s reached via the Castle Rock Trail—you’ll follow the Bluff Mesa Trail, which will lead you to this famous landmark pine. The Champion Lodgepole Pine is one of the biggest in the world, and it’s over 400 years old and just over 100 feet tall. If you’re up for the challenge, you can continue from here to the Bluff Lake Preserve—a beautiful, tranquil oasis. 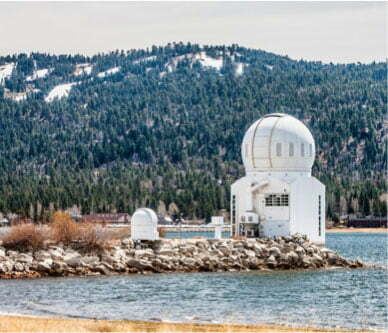 While Castle Rock, the Champion Lodgepole Pine, and Bluff Lake are famous landmarks in the San Bernardino National Forest, there are several other fantastic hikes in Big Bear. Other trails in the San Bernardino National Forest, the Pine Knot Trail, and the Cougar Crest Trail are just an example of the other hikes you can enjoy! After a day exploring nature in Big Bear, return to a gorgeous cabin to recharge. 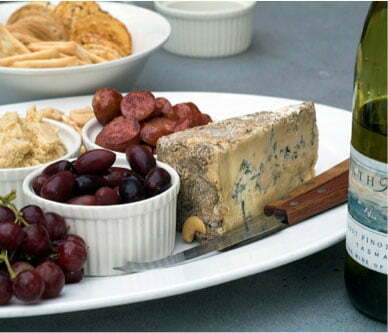 Soothe sore muscles in a hot tub, or relax with a glass of wine on the deck as you watch the sun set over Big Bear. 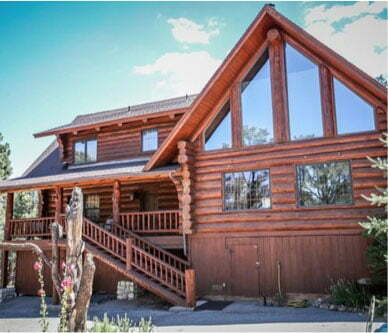 Big Bear Lakefront Cabins have everything you need for a relaxing vacation! 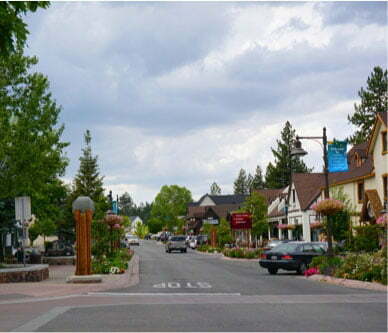 Take a look at all of our luxury properties, and book your getaway in Big Bear today!